I've seen a few supercharged N/As previously on here but they have all been EFI. I was wondering whether keeping the CIS is feasible. Because the boost is constant throughout the majority of the rev range, fuel enrichment could be as simple as a blanket enrichment without any kind of feedback loop. You'd get an ultra-rich idle but that hardly matters. Again, because the boost is constant you could retard the ignition timing at idle to give a blanket effect throughout the rev range. Again, causing issues at idle. You could even set the throttle bypass to make the engine idle at 2000 RPM so it's never off boost - eliminating the idling issues. Apart from that you'd just need to plumb in and belt up the SC and you'd be good to go. Lots of fab work to make pipes and mountings but that's the same with any FI project. You could even use a 924 turbo WUR and you would then get good AFR values at idle and only enrich on boost. I've seen boost-adjustable WURs for sale but they're expensive. Is there actually an advantage to these over just using an S1 turbo WUR which can be had for very little? I suppose a S1 turbo dizzy would also be a good idea as it would have boost retard - rather than an inoperative vacuum advance like the N/A dizzy. The other main concern is CR but from looking at other project threads if the boost remains low then it's not a problem. I wouldn't be looking at any more than 5-6 pounds anyway. Taking it higher would mean replacing the clutch, torque tube, gearbox and probably the CIS to cope with the higher demands. If the motor is in good condition, you should be able to use 0.5bar as it is without problems. S1 dizzy is a good idea, as is the S1 WUR. You can make it adjustable if you want...the documentation of how to do it is floating around. Even if boost is constant, it does not mean that the fuelling requirements of the engine are constant! There is no reason why SC+CIS would not work, but one has to be real careful when tuning, still requires WBo2 reading and unless it is a low compression US model 924, you need to adjust timing in order to avoid detonation. 931 control pressure regulator (this is correct name for WUR) is the way to go, otherwise 924NA CIS runs out of fuel quite quickly. I can easily borrow a wideband sensor for tuning. I assume a Turbo S2 ignition dizzy is not usable because it's designed to work with DITC. The CPR could come from either S1 or S2. Is the fuel meter itself different between an N/A and a Turbo? I have seen some comments that the shape of the air cone is different but is it actually capable of providing more fuel to the injectors than the N/A one? I've also seen the Volvo turbo k-jet distributors which have 6 injector line ports with 2 of them blanked off and can apparently give much higher flow rates. That might be a good upgrade if the 924 CIS starts being a bottleneck to performance. Yes, you can only use an S1 dizzy, the S2 setup is more complex and is quite expensive and not worth the investment in your case. If you want, I have S1 distributor and 931 WUR for sale. Fuel meters are completely different between 931 and NA. And I could get you a good deal on WBo2 kit. But morghen, which WBo2 kit can be had new for 150 euros that would work well too? I use the innovate kit, its the only wb kit i ever used, dont really know how good or bad it is but my spark plugs are brown. Raize, Raceboy is a nice guy and he knows his engines, i also bought stuff from him and i would not hesitate to do so again. Your project sounds fun and if you do it i might copy some of the ideas. I'm thinking of an optimum solution to get rid of the turbo lag i have on my car. I would use an S1 WUR, S1 AAV, S1 AFM + fuel dizzy, and S1 ignition. That would be a nice setup that should match relatively well with a modest SC setup (<10 psi of boost). The CIS components are designed to work together. The cone shape of the AFM is matched to the fuel dizzy and the WUR. Just swapping in a boost-sensing WUR is not going to address the whole problem. The AFM and fuel dizzy also affect fueling, and the ignition curve for NA and boosted apps are fairly dramatically different. A mix-and-match setup is going to result in fueling that is wrong most of the time, even when it errs on the side of caution (i.e. rich), which is going to kill both performance AND economy. Not saying it couldn't be made to run with careful testing and tuning. But do some reading on the trials and tribulations of those who have attempted to get BAE setups working with NA CIS components. Another challenge will be finding a complete S1 CIS setup in good working order. Used components are almost certainly going to be in need of rebuilding. Acquisition cost + rebuild cost of the CIS components can easily match or even outweigh the cost of an EFI conversion, and you will still end up with an inferior solution. I think this is why most guys doing SC mods opt for EFI. Don't let me dissuade you from trying, though, it would be a very interesting build. But I think it's a good idea to go in with your eyes open. Raceboy: Thanks for the offer but this is still very much at the planning / feasibility stage and I may yet go the EFI route. Morghen: I think a twin charged 924 would be unique. Would involve some crazy plumbing though. Ideola: I am hoping that because a supercharged engine has a torque curve that is similar to an N/A engine (ie, flat) that the shape of the N/A air bowl will be suitable for a supercharged build. If anyone has section views of the air bowls that would help my understanding. The BAE system seems very crude if I understand it correctly - a micro switch operating the cold-start injector. This would give massive over-fueling once the engine comes on boost as the cold-start injector is either "on" or "off". A boost sensing WUR is a better solution. Finding a complete S1 CIS setup should not be too hard as 931s frequently get broken here in the UK. As you say, it's important to go into this with eyes open and I really appreciate the comments that I've got here so far. I am hoping that because a supercharged engine has a torque curve that is similar to an N/A engine (ie, flat) that the shape of the N/A air bowl will be suitable for a supercharged build. This is where I think your assumption is wrong. The shape of the bowl provides non-linear fueling throughout the enrichment range for a specific setup. The non-linearity will be quite different (i.e., more exponential) on a SC setup than naturally aspirated, which is essentially what (I think) Raceboy was pointing out above. Just to clarify, the intention is to use a roots-type supercharger. The bowl on my N/A slopes gently at first, then slopes sharply upwards. This gives a lean part-throttle and rich full-throttle. I suppose then, if you increase the airflow with a SC, that the air plate will always be on the "rich full throttle" portion of the bowl and waste a lot of fuel (if it doesn't just hit the end of it's travel and lean out). While a N/A air bowl may not be ideal, I'm not sure a turbo air bowl is ideal either as the boost comes in much sooner than it would with a turbo and the shape of the air bowl may be wrong for the SC. I imagine the ideal thing would be a fuel metering unit from a higher performance N/A vehicle, plus the boost-sensing WUR. Yeah, there is more to this than there seemed at first. I had been laboring under the misunderstanding that boost was directly proportional to RPM only. I had another look but still can't find any SC project threads where keeping the CIS was thoroughly considered. I'm just trying to work out a cheap (in parts, if not time) way to improve the power of my 924 while keeping it usable for street driving. An Eaton M62 seems to be the answer. To me, the biggest problems are ignition, fuel, and physically fitting the SC into the engine bay. I'd be entirely happy to make the same power as a stock 931. I know the 924 drive line is weak and cannot really take a lot more power. 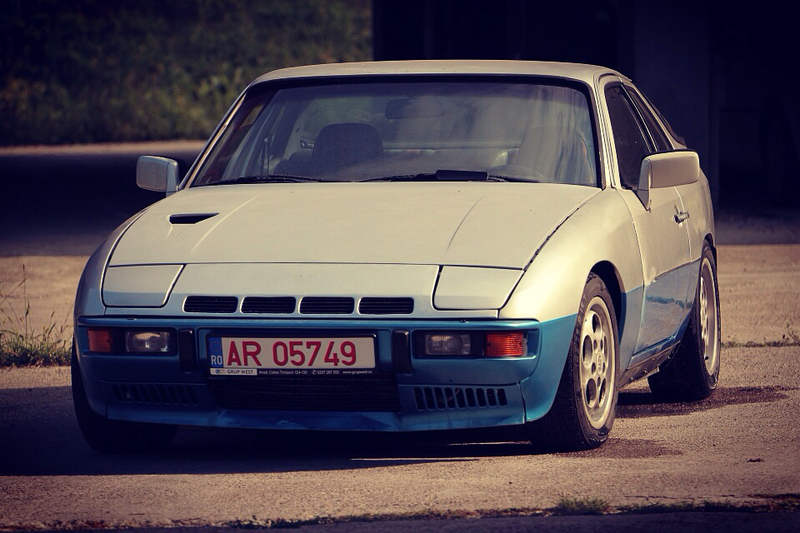 I've been assuming up until now - can someone confirm if the 931 distributor is plug-and-play for the 924?